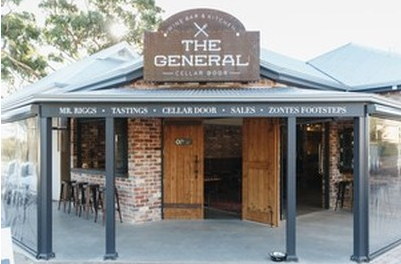 As a place for lunch I would have to call The General, the tasting room for McLaren Vale's Mr Riggs, somewhat basic. There certainly was nothing fancy about the chicken. But the wine. That was another story. Winemaker Ben Riggs describes his style as "big, rich and complex yet with finesse, texture and elegance." The 2015 Mr. Riggs McLaren Vale Shiraz fitted in nicely with that description and I was pleased to be in the company of two designated drivers which enabled me to have more than my share. 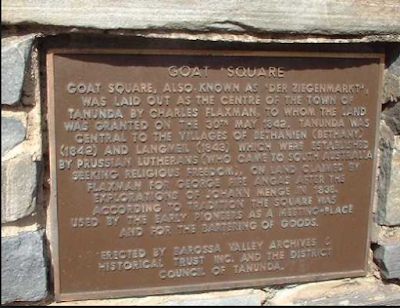 Nicholas Bourke, I'm told, was much involved in the production of this gem of a wine before he moved on to the wine making post with Hugh (the Black Sheep) Hamilton. $45 a bottle at Dan's and a 90 on the Owl's scale which is an exceptionally high number for a wine at such a price given the Owl's weighting towards value for money.